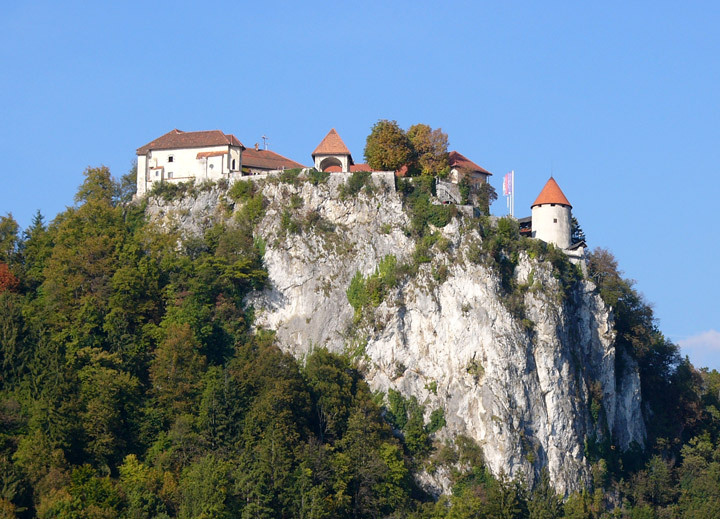 The oldest castle in Slovenia stands on a sheer cliff above Lake Bled. 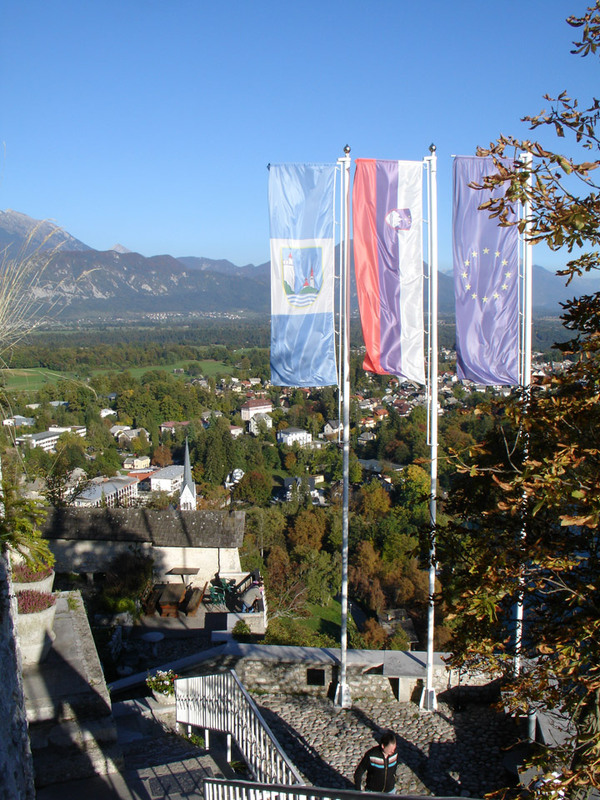 It was first mentioned in writing in 1011, when the German Emperor Henry II donated it to the Bishop of Brixen. 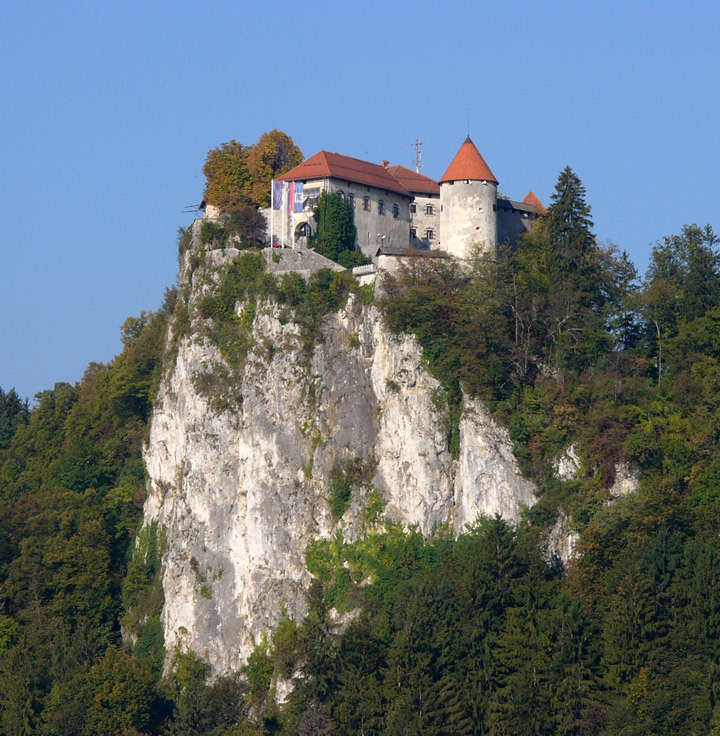 It is highly likely that, at that time, on the land where the castle stands today there was simply a Romanesque tower surrounded by a protective wall. 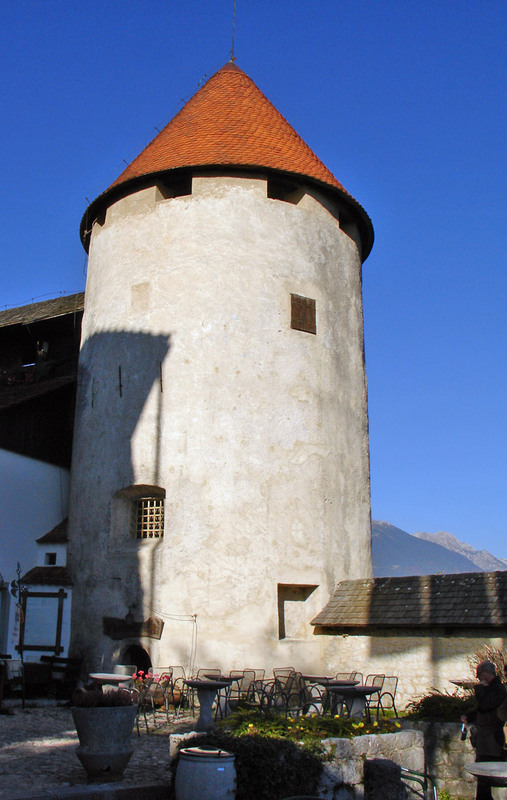 Additional towers were constructed and the fortification system was perfected in the High Middle Ages. 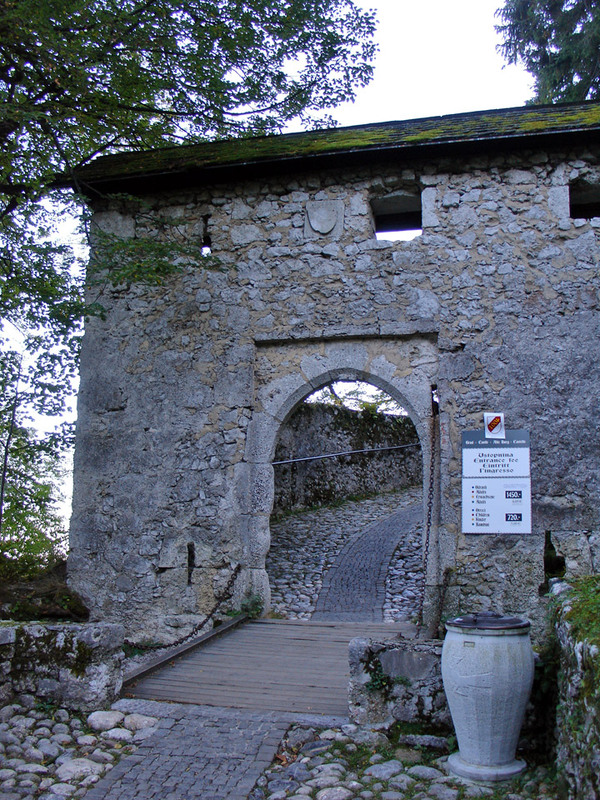 The entrance to the castle is particularly interesting due to its Gothic arch and drawbridge across a now filled-in moat. 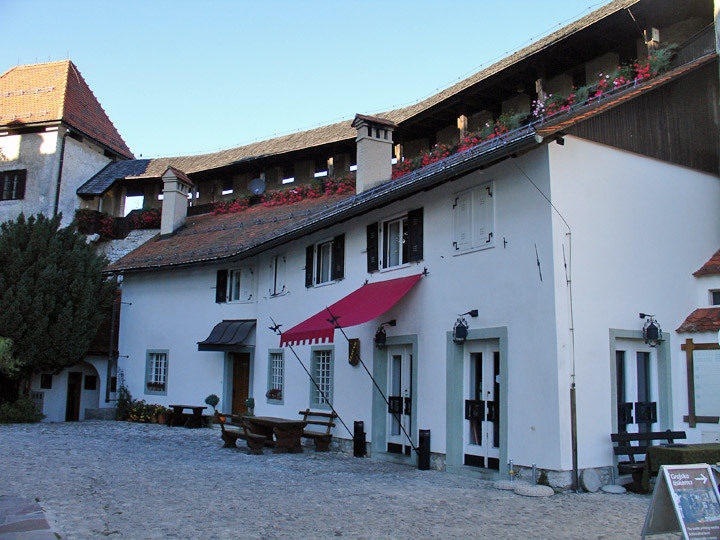 Construction of the castle complex was completed with the addition of various buildings in the Baroque period. 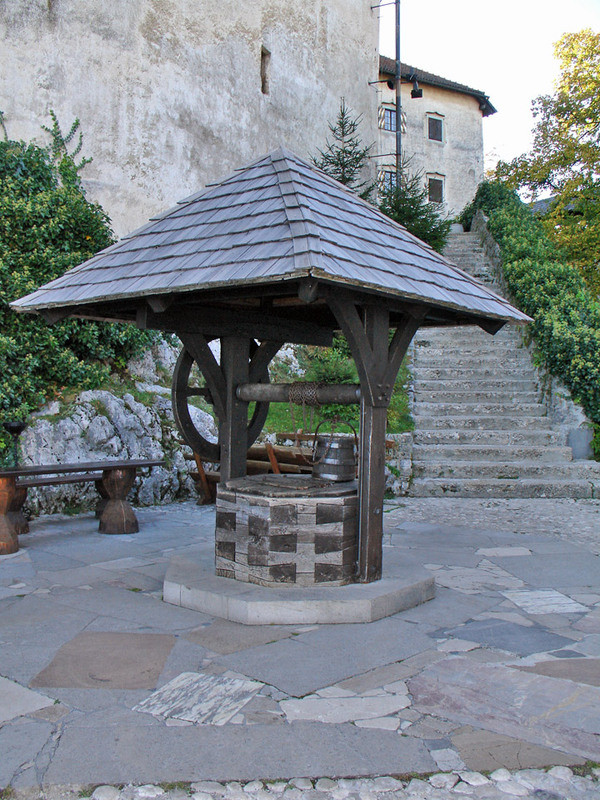 The foundations of the castle are in two parts. The inner part comprises residential quarters and a Gothic chapel, while the outer part consists of administrative buildings, protected by a high Romanesque wall with defensive battlements, an entrance tower and an implosive Gothic defensive tower. 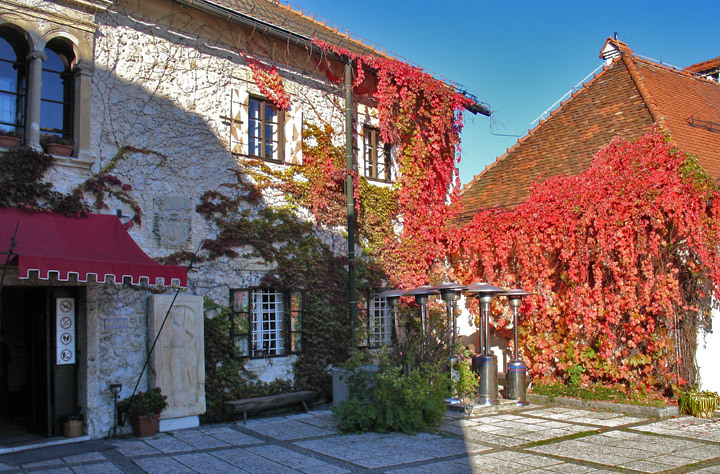 The most interesting of the remaining buildings is certainly the chapel on the upper courtyard, dedicated to the Bishop St. Albuin and to St. Ingenuin. 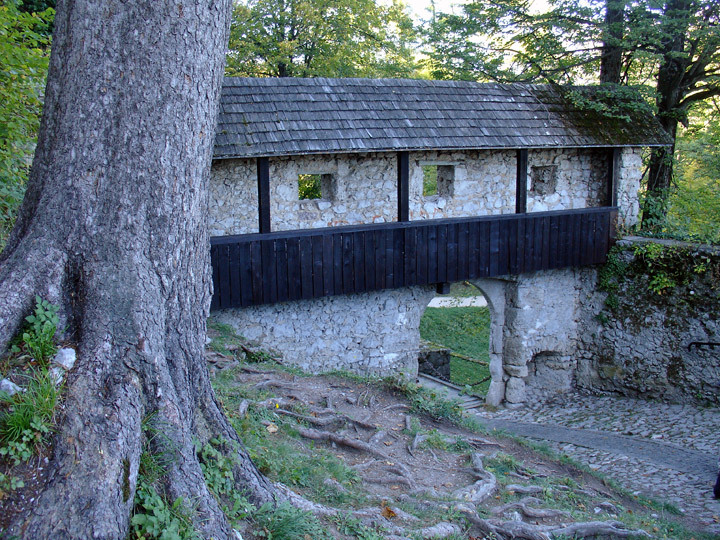 It was first constructed in the 16th century. Baroque elements and illusionist frescoes were added around 1700. 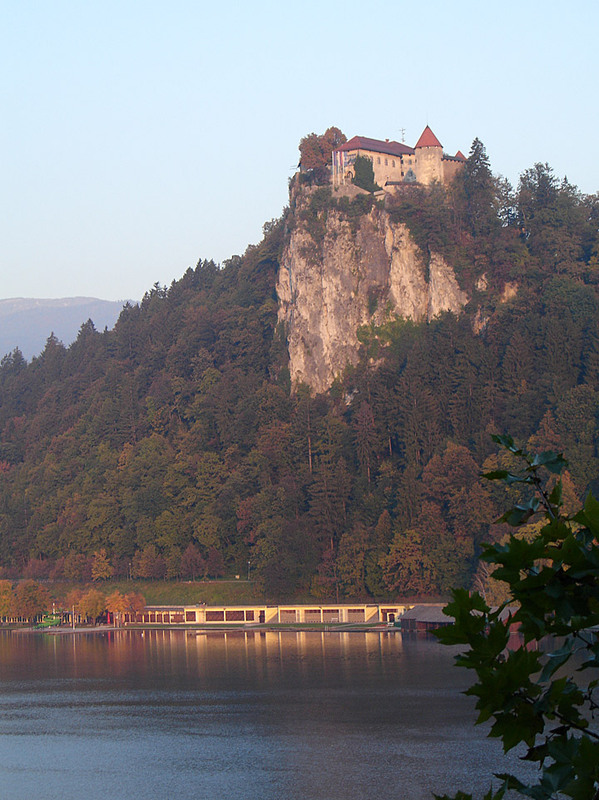 There are images of the donors of the Bled lands, the German Emperor Henry II and his wife Kunigunda next to the altar. 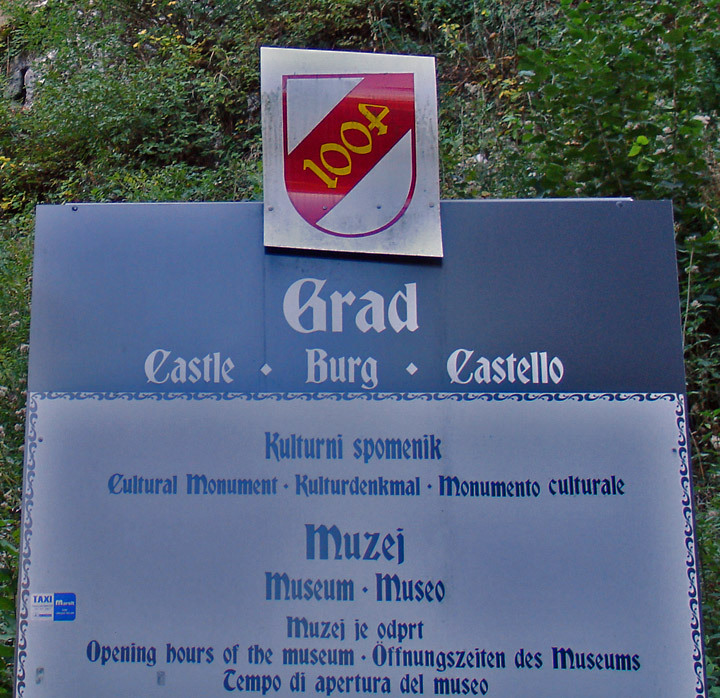 Fragments of the collapsed Gothic arch are incorporated in the wall of the neighboring building, which nowadays houses a museum. 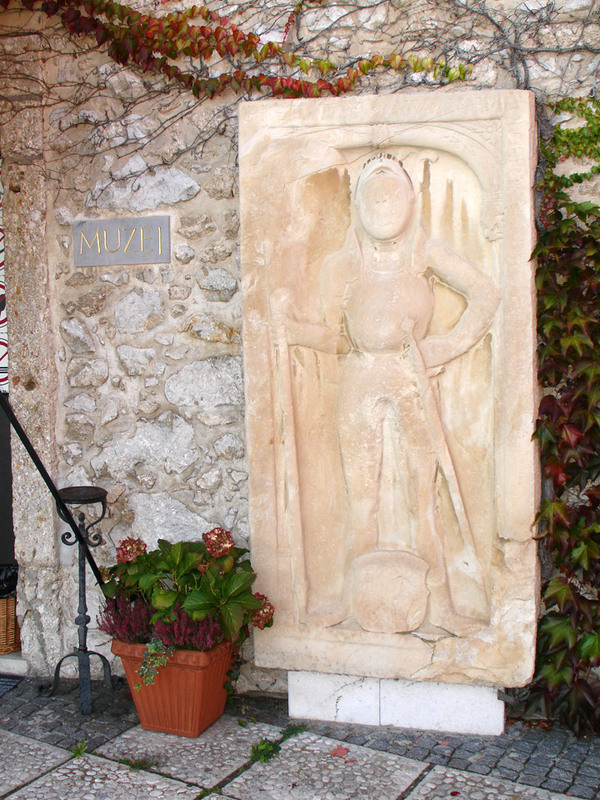 Numerous coats of arms, either painted as frescoes or carved into the stone, embellish individual castle buildings. 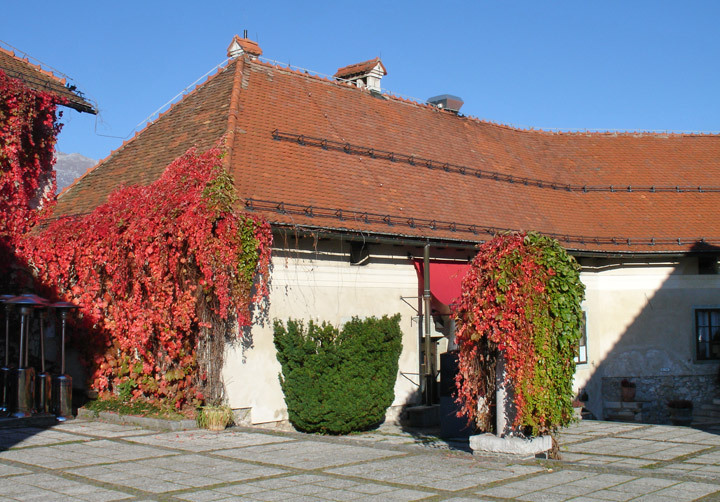 After the roof of the castle had been destroyed by fire in 1947, and during the first post-war archaeological excavations in Bled in 1948, the National Museum suggested the conservation of the castle complex. 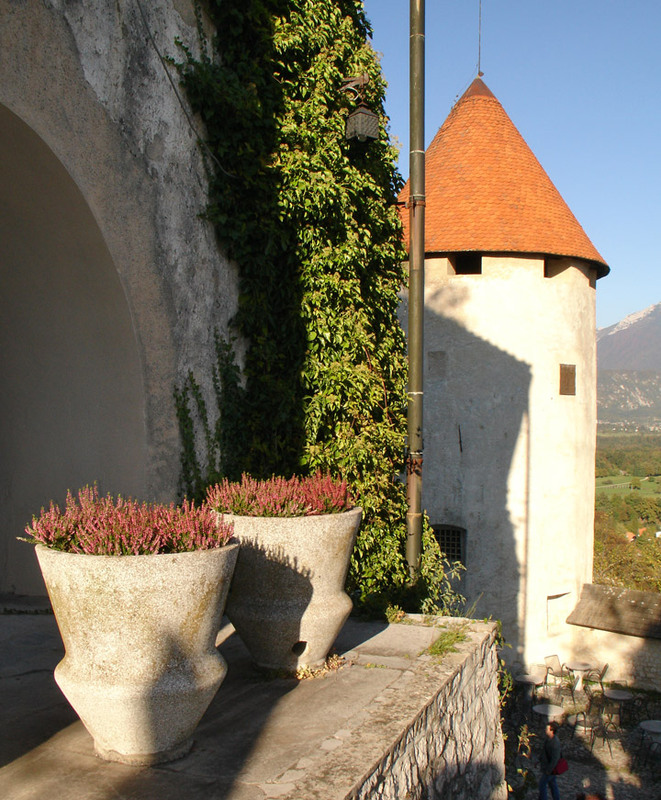 Between 1951 and 1961 the castle was thus renovated and supplementary architectural details were added. 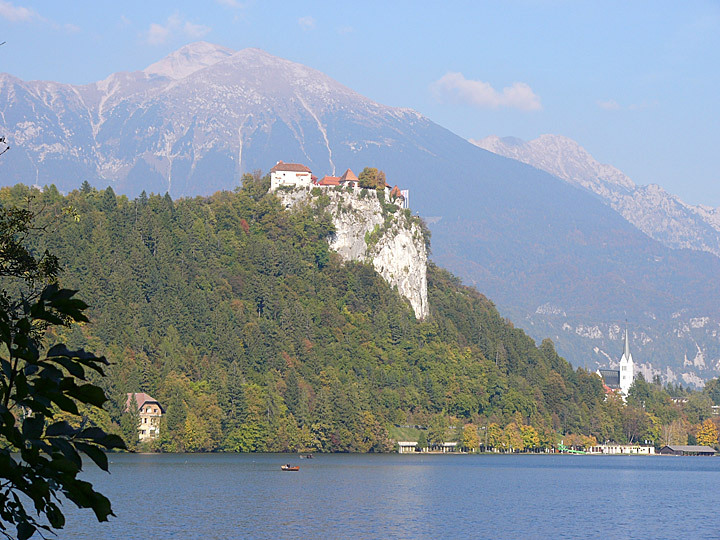 Bled Castle today attracts visitors with its age, the picturesque architecture and an unforgettable view across Lake Bled and the wider area. 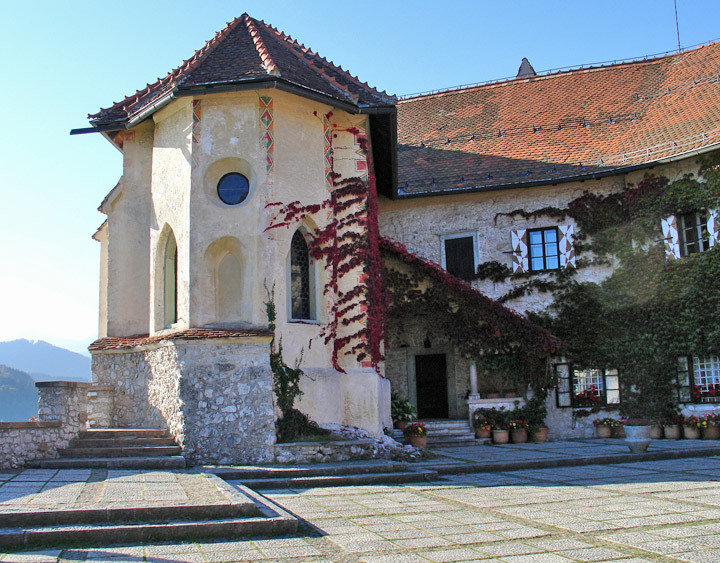 The ancient history of Bled and the different stages of the development of Bled Castle are portrayed in the building next to the chapel. 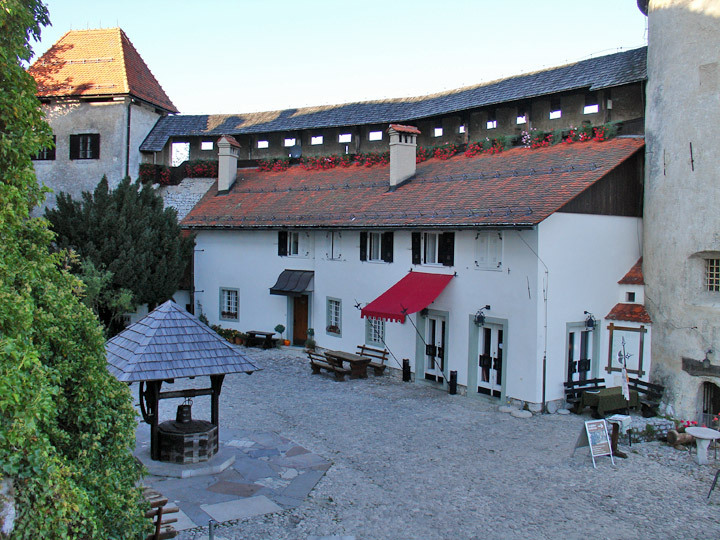 The ambience of the castle is enhanced in summer months with the reception of the Lord of the Manor, as well as an archery tournament. 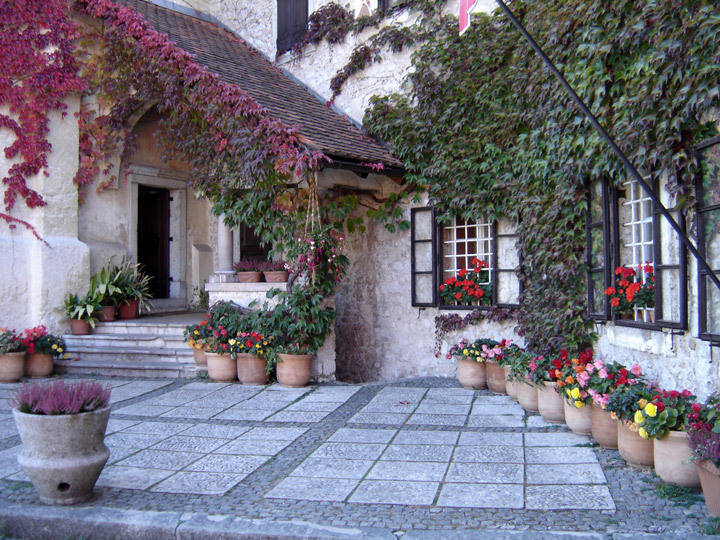 The castle herb gallery and printing press are also on display.